Now that summer is rapidly drawing to an end, we all fondly remember the many exciting days we spent on the water with family and friends. If you caught the boating bug this summer and are contemplating purchasing a Sea-Doo boat of your own…we have an excellent resource for you. 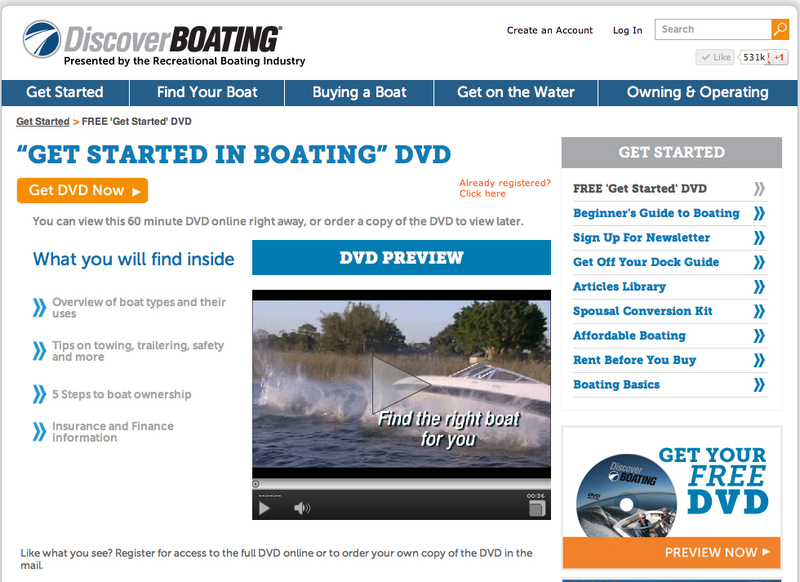 Discoverboating.com has a FREE “Get Started in Boating” DVD that will help to educate you on how to buy a boat and much more. If you would prefer to view the DVD online, you can request instant online access. -An overview of the boat types and their uses. -Tips on towing, trailering, safety, etc.